We invited a few friends over and had our inaugural fire in the new fire pit this past weekend. 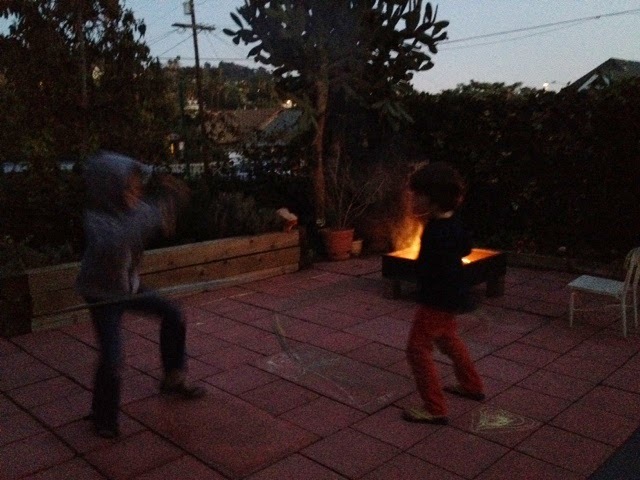 While waiting for our guests to arrive the kids practiced their wild hula hoop moved. It was a smashing success and every last s'more fixing was used. 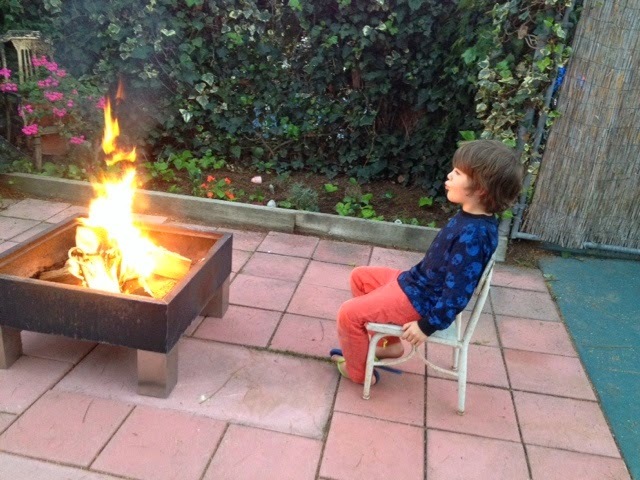 I hope we manage a lot more evenings of marshmallow roasting and drinks with our friends in the near future!